Being born is a stressful event. Even if a kitten is born strong and lively, the first 24 hours can be a dangerous period. 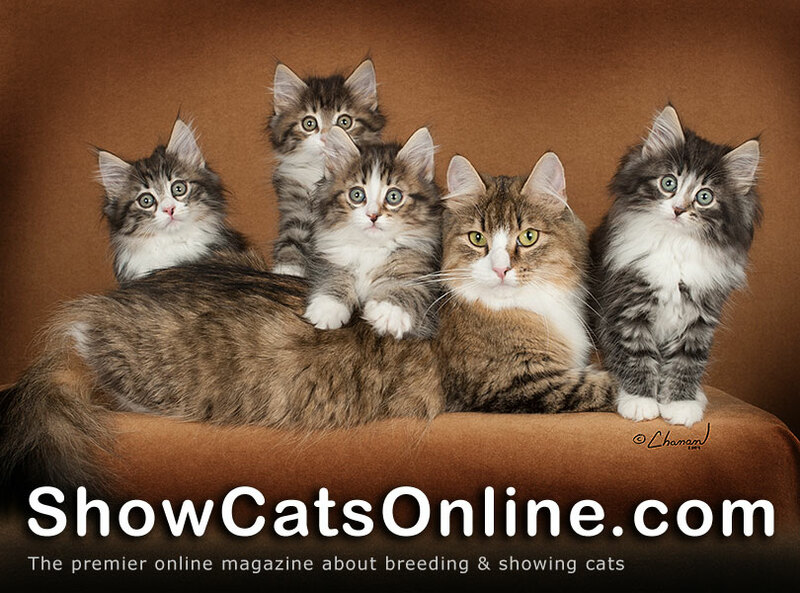 So what does the cat breeder need to know to help every kitten survive and thrive during its first day of life? One of the commonest complaints from show cat groomers of longhaired cats is my cat's coat looks greasy. Did you know how to 'fix' the problem? Learn what products to use . . .
Kneading is one of most distinctively feline behaviors. Have you ever wondered why cats knead? A cat lover reveals the plans and evolution of his new grooming room . . .
You don't need to spend a lot of money on fancy cat toys. Mollie Shutt shows you how you can make your own cat toy inexpensively, using just a bit of felt and glue and a touch of creativity . . . Thoughts On Cat Baths — By The Cat!